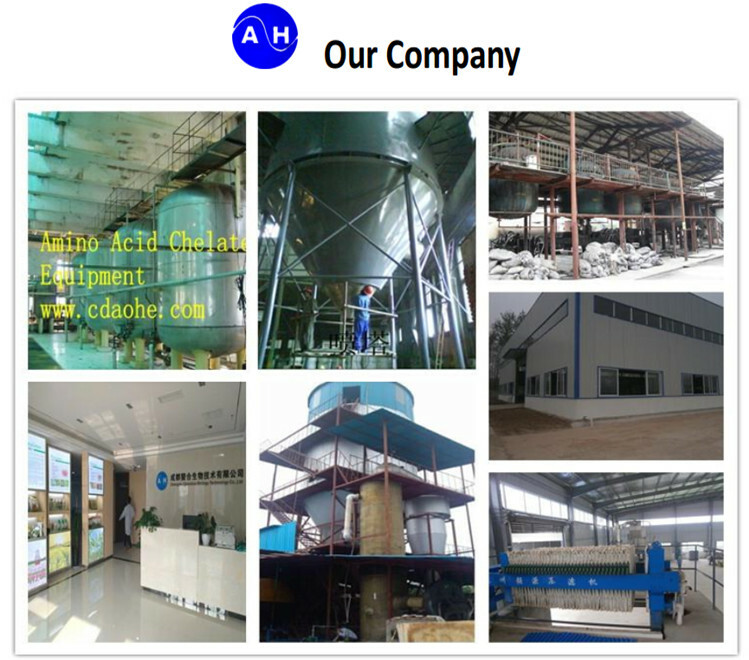 Our compound amino acid powder contain organic nitrogen and in-organic nitrogen, which not only can be used as raw materials for foliar fertilizer but also can be apply on the crops as water flush fertilizer, ground fertilizer and basic fertilizer. There are two source, one is from animal fur, the other is from soybean. 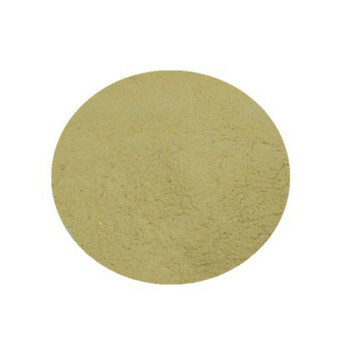 1.This product can chelate soil nutrients,stimulate root growth,make root of the crop strong and long,and have a high effection and promote a significant yield. 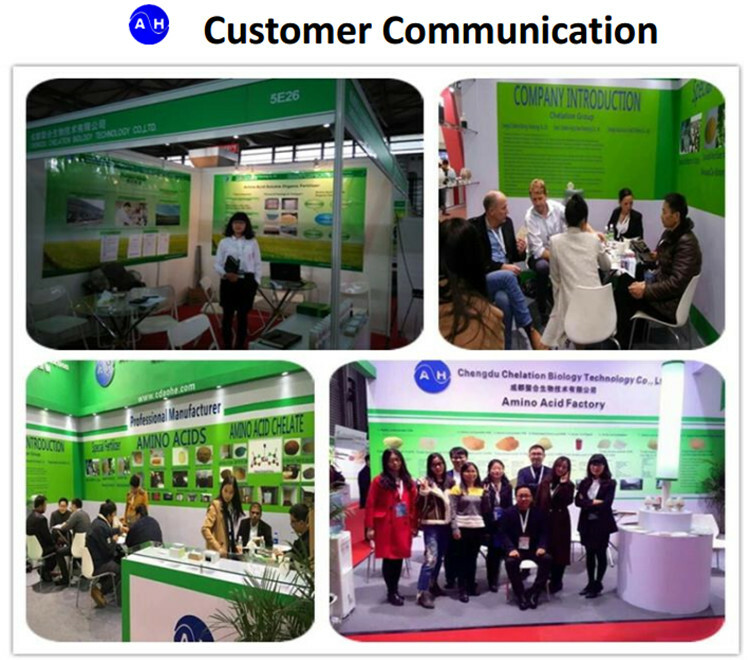 2.This product can Improve crop photosynthetic performance,promote photosynthetic products into a significant transfer , transportation ,improve crop quality and product performance. 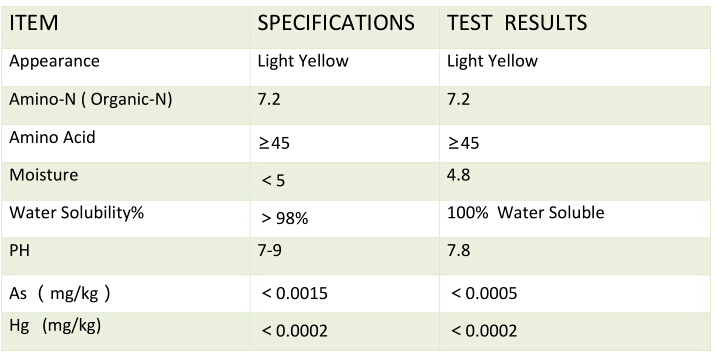 3.This product can improve micro-domain environments and suppress the occurrence of soil-borne diseases. 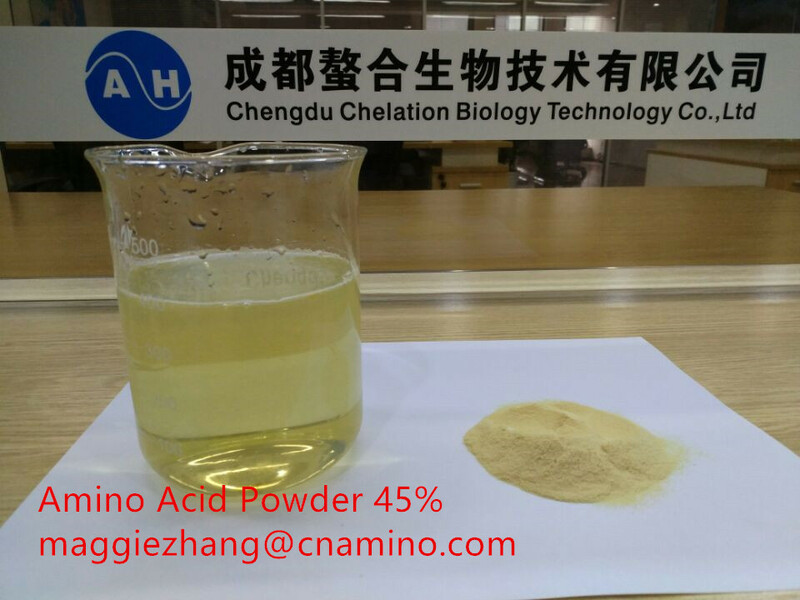 4.To mix this product with inorganic fertilizer can increase the synergy of nutrients,make the yield increase extremely significant. 5.With a long-term application,the compaction of the soil will become loose, and the nutrients-kept and water-retention capacity will also be promoted. 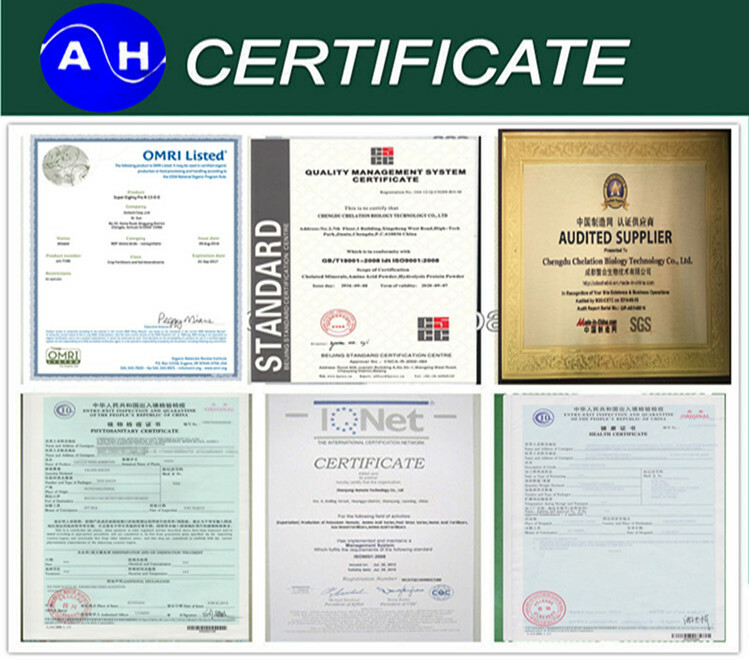 6.This product is widely used in organic food base,green base ,and pollution-free ecological food base. 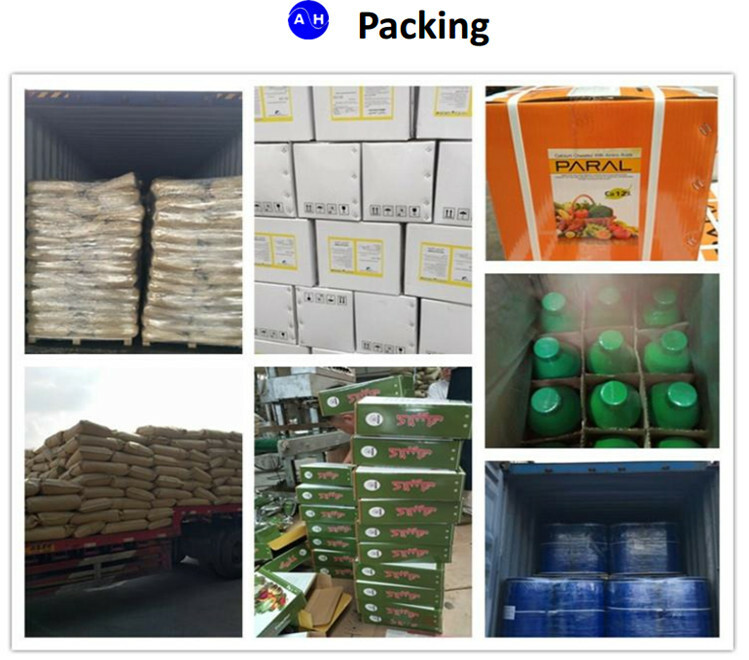 1.You can mix it with pesticides,which will enhance the function with each other. 2.Please spray it at 10am or 4pm so that the plant will have the best absorption 3.Please re-spray if the rain come in 2hours. 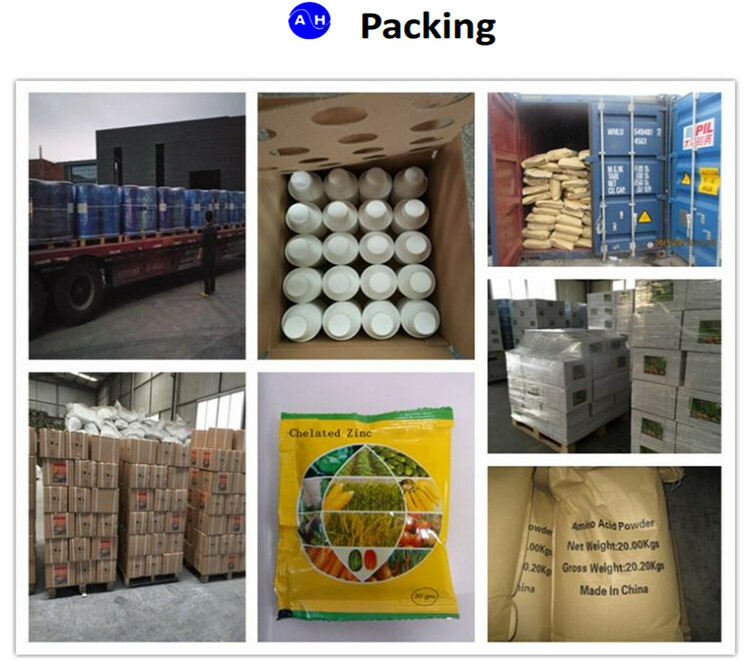 The supplier is ranked number 20 by delivery data in Agrochemicals.